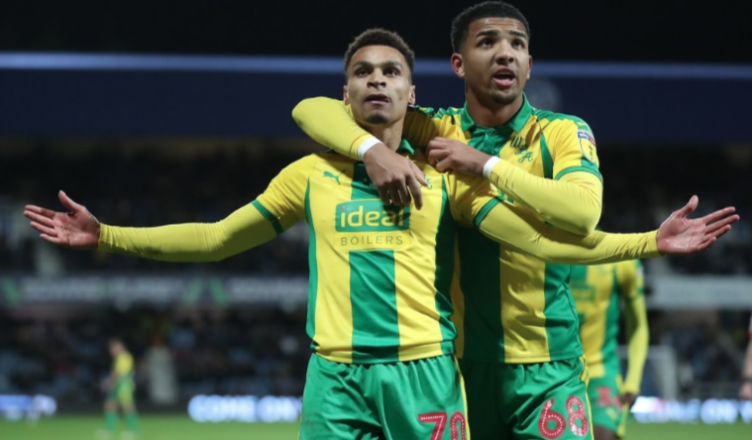 Watch Jacob Murphy score his 2nd goal in 4 starts for West Brom – & it’s a brilliant finish.. – NUFC blog – Newcastle United blog – NUFC Fixtures, News and Forum. Watch Jacob Murphy score his 2nd goal in 4 starts for West Brom – & it’s a brilliant finish..
Newcastle loanee Jacob Murphy bagged his second goal in a week for West Brom last night, scoring in their 3-2 win at QPR to take them just 1 point away from the Championship’s automatic promotion places. This is now his in four starts for the Baggies, with him also scoring in their home draw with Nottingham Forest this time last week. Watch the goal below, with him doing well to burst past his man and unleash a stinging shot across the keeper to put West Brom 2-1 up against Steve McClaren’s QPR at Loftus Road. Going through the reaction to his latest performance on Twitter, he seems to be splitting opinion amongst West Brom fans, with some feeling he’s improving game by game and others still feeling he’s not up to it. Either way, it’s great to see him playing regular football and scoring goals again – something that could be doing wonders for his confidence levels (which seemed worrying low based on his performances for Newcastle of late). Newcastle United now hold surprise Premier League record – but it’s not one to be proud of.. Comparing NUFC’s run in to all 7 relegation rivals – A must read for all Newcastle fans..